School is back in session for Bartlesville High on Friday, and the Lady Bruins and Bruins will have their penultimate road game in the regular season, as both clubs take a longer trip down to Bixby. On the girl’s side, BHS will try to rebound after a 12-point loss to Sand Springs on Tuesday. 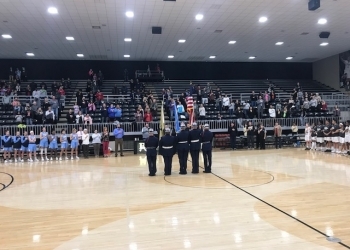 Bartlesville started the turnaround of its season on Dec. 14 when Elise Cone hit a three-pointer in the final seconds against Bixby at home for a come-from-behind Lady Bruin win, 43-42. On the guy’s side, the Bruins will try to keep ahold some of the momentum the team has after its best win in several years. Bartlesville knocked off the No. 5 team in the state, Sand Springs, 45-37 at Bruin Fieldhouse on Tuesday. Bruin head coach Clent Stewart says it goes to show that his club can compete with any team in the state when they play well. The Bartlesville guys also topped Bixby during their meeting in December, the Bruins won that one 44-31. Girl's tip at 6:30 PM with the boys to follow around 8:00 PM on KWON - AM 1400 and FM 93.3.